Here were the meats I was comparing from all the major supermarkets in the UK. Why care about minced meat quality even when it’s organic? Whilst supermarkets would claim if product X,Y,Z is “organic” “it must be ok” “it must be fine “but this is no longer the case now. The term organic has been corrupted by the supermarket world. 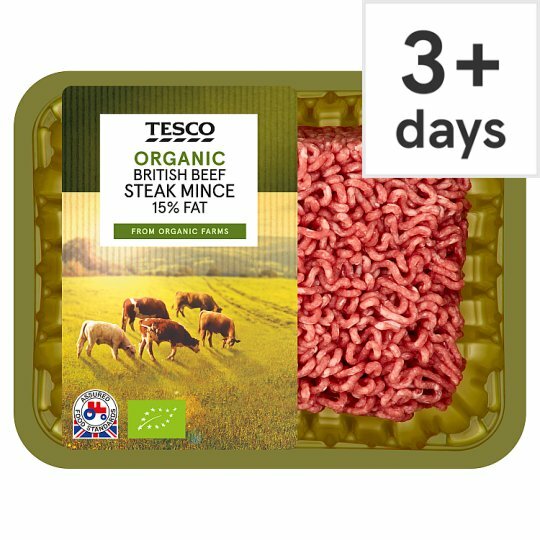 In terms of mince meat “organic” can range from the cow eating cereals to grass which can massively impact the omega 3/6 ratio of the blood. Something which i don’t think UK farms recognise and after reviewing numerous supermarkets and their farming methods I was shocked to find that many of them had poor standards and even the most prestigious brands were deserving of some scrutiny. Studies have found that those with diets higher in inflammation promoting omega 6 fatty acids had 40 times as much DNA damage as those with balanced ratios. Surprisingly some wild plant foods can contain as much as 24 percent fat greens such as kale spinach and wild grasses contain alpha linolenic acid the building block of the omega 3 fatty acids which is why grass fed animals contain 6 times more anti inflammatory omega 3 fats than their grain fed counterparts .Animals labeled as organic often are also fed grains like corn and soy and even though these mixes are technically organic we still need to remember that grain is not the natural diet of cows! A 2001 peer reviewed article in the journal science concluded that grain based diets are very stressful for cattle not only that but they also cause ulcers and overgrowth of coli in the rumen, cattle that are grain get very sick and therefore require more antibiotics to stay alive. Even third days of corn finishing will change the fatty acid profile to be higher in omega 6 fats than omega 3s. Price and Value for money: Prices Varied from £8 per Kilo for Sainsbury’s Organic meat and a heavy £13.50 for Daylesford Organic’s meat. Taste: Quite simply how I found the meat tasted. Meat Quality: Based on the cow’s diets comparing whether or not they are grass fed or grain fed. Also I took into account how quickly i found the meat declined when it was held in my fridge. Clarity of treatment of cows: I think it’s important supermarket’s make it clear what their cows are eating and when. Some did this better than others. I graded each of these out of 5 and then made a graded score. Is it grass fed or grain fed? Clarity of what the treatment of cows is 5/5 : All the Daylesford organic butchers knew exactly that the meat was 100 Percent grass fed it was great to know a butcher that had good knowledge of the treatment of it’s animals. As soon as I called them up enquiring what their cows ate they were able to give me an immediate and confident answer. Is it grass fed or grain fed?The answer was unclear, 180 days minimum on grass pasture is a big plus. Then after that the cows are fed organic grains and maybe more pasture according to the phone call with Waitrose’s customer service/website. Taste 4/5 Found the taste to be the one of the best of the bunch really flavour full. Meat Quality 3/5 : Meat was still fresh even a few days after the sell by date but not 100 percent grass fed all year means for those who want a strict diet this wont be as good as the Irish beef option from partner Ocado. Clarity of treatment of Cows: 3/5 Whist i liked the taste and the fact that it’s good value for money where Waitrose disappointed me the most was the clarity of the treatment of it’s cows. Even after phoning in and asking whether or not the cows were grass fed the customer support team had no clue which was disappointing to say the least and he took a whole 15 minutes to verify this. Grass fed or Grain fed? : Unfortunately a mixture of both according to it’s website and customer service team. Grass or grain fed? Fed grass when available if not then organic non GMO cereals. So we don’t know how much green pasture they have access too. Organic Cereals are not ideal for good meat quality for reasons discussed and it looks like there is no minimum day of pasture allowance for the cow which most of the other supermarkets had. Meat Quality:2/5 It’s ok that they are fed non GMO cereals but the fact that the cows are fed cereals in the first place makes this once a low rank for me. Clarity of treatment of cows: 3\5 We know the cows are getting grass but we have no clue what degree that is. Tate: 2/5 Below par taste wise for me. Wasn’t as good as the other brands. Grass or grain fed: According to the website they are fed organic grains which doesn’t suffice as good enough for me and my high standards. Meat quality: 1/5 Disappointing to know that they are fed cereals not what we want in organic meat. Clarity of treatment of cows:5/5 We know exactly what they are getting and its not good. Grass or Grain fed? 100 percent grass fed although finished off with cereals before slaughter which was extremely disappointing as this can still impact meat quality as discussed prior even 30 days of grain feeding can impact on the Omega 3 to omega 6 ratio of the meat. The famous Aberdeen Angus breed is renowned for its quality and flavour due to high levels of marbling within the muscle. It’s ability to finish off grass at around two years of age means we do not have to feed with high levels of grain.Although primarily grass fed, we do supplement the cattle at the finishing stage on our own home grown cereals. After slaughter, in the local abattoir on the edge of the estate, the primals are dry aged for 35 days and butchered in our own cutting plant, packed and dispatched. Price/Value for money 3/5: Coming in at £12 a kilo and with a fixed firm high price which is rarely on offer at any institution Rhug Estate is one of the pricer minced meats on the market. Taste:5/5 Fantastic mince meat my favourite tasting by far out of them all. Meat Quality: 4/5 Though the farming practice is strict the fact that the animals are fed grain prior to slaughter loses it a point . Clarity of information on how the cows were treated: 5/5 all the information is clearly displayed on the Rhug Estate website. Price/Value for money:4/5 £12.50 a kilo but can be purchased on deals that can lower it down to £10 per kilo . Taste:4/5 Decent tasting meat though not as good as the Rhug Estate. Meat quality: 5/5 Longevity is fantastic actually survived well past its sell by date and still tasted great. 100 percent grass fed on Irish pastures which are knowingly free of harmful pesticides and chemicals. Whole foods organic Minced meat . Is it grass fed or Grain fed? Raised on grass fed pasture for a whole 2/3rds of it’s life. Unfortunately not the 100 percent grass fed product that we were looking for. 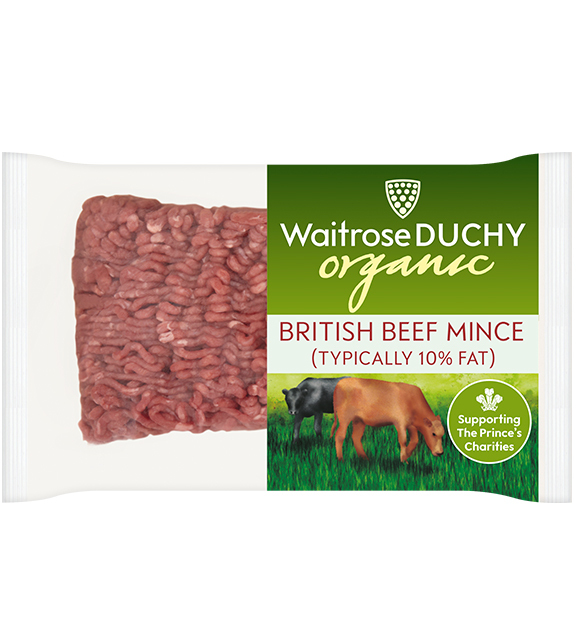 Taste: 3.5/5: Whole foods Minced meat is reasonably tasting didn’t have the extra zing in flavour that the Rhug Estate and Irish beef had. Meat Quality: 3.5/5 Access to 70 percent pasture is good but by no means ideal. Showing that this meat is still vulnerable to having it’s omega 3/6 ratios changed. Clarity of information on how the cows were treated: 4/5 The whole foods website has very clear information on the cows treatment but doesn’t tell us directly what are the other foods that the cows eat . Mince meat quality in the UK is generally low compared to it’s neighbouring Ireland and other western developed countries like New Zealand. This is partly down to poor farming practices which do no acknowledge the fact that feeding cows grains will impact on their omega 3/6 ratio of the meat. I found the Irish beef to be the best quality by way and far due to the fact that the cows eat a 100 percent grass diet allowing the omega 3/6 ratio of the meat to stay even.